Sea level rise poses a threat to urban transit and quality of life. Photo by Carlo Arioli . The United Nations General Assembly designated March 22 as World Water Day to highlight challenges of protecting the world’s water. Since 1993, World Water Day has been a time dedicated to drawing international attention to and discussing the affects of rapid urban population growth, industrialization and climate change on the world’s water resources and the ability of urban communities to protect their environment. This year’s theme, “Water for Cities: Responding to the Urban Challenge,” looks at the intersecting issues of water and urbanization, and tries to address issues of sanitation and pollution; governance and management; investment and finance; and environmental impact and climate change. At this year’s conference, held in Cape Town, one of the key issues discussed is climate change and its unforeseen challenges. With 70 percent of the world’s population anticipated to live in urban areas by 2050 and the anticipated drastic sea level rise due to global warming, the world’s cities grow more vulnerable to flooding and irreparable damage. This vulnerability is especially acute for developing nations that are already burdened with rapid urbanization. As we highlighted in some of our previous posts, rising sea water levels present a risk for people in urban communities. From housing to transportation, the effects of climate change become unavoidable, as city life stalls in the face of flooding. The consequences of these events are alarming when the permanence of the loss of land becomes evident. 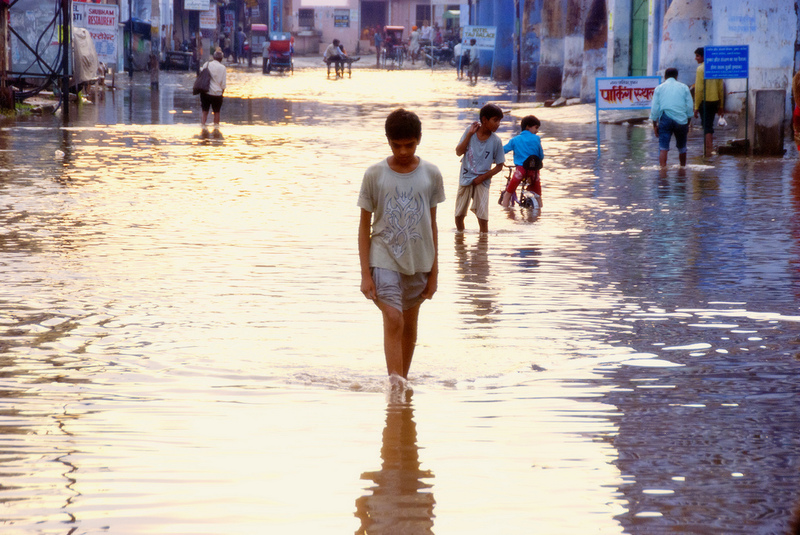 We also drew attention to the crippling effect of flooding in our blog series, “Mumbai Through the Monsoon,” focusing on the monsoon season in India. As we discussed, India relies heavily on the monsoon rains for much of its agricultural livelihood, which is why living and transportation conditions in this part of the world have to be especially resistant to weather conditions. To learn more about World Water Day and find related events near you, please visit www.WorldWaterDay.org. Transit and the Monsoon: Can We Harmonize the Two?